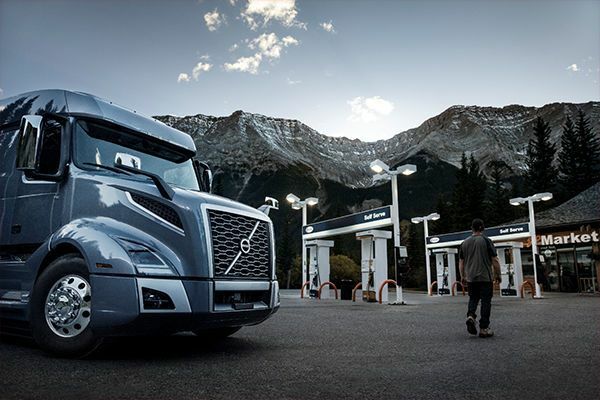 A supplement to Volvo’s Remote Programming, the new Parameter Plus Package, leverages Volvo’s factory-built embedded telematics platform and allows over-the-air (OTA) updates to be completed during a short meal or operational break virtually anywhere cellular connection is available. 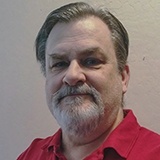 has upped the ante in electronic connectivity with its new Parameter Plus Package addon to its existing Remote Programming feature; which now allows over-the-air updates to a large number of functions, all within the time a driver takes to eat a meal. This new feature will save drivers and truck companies from having to make expensive and time-consuming trips to service centers. Each vehicle can download up to 50 parameter updates annually. The new technology was announced by Daimler in a March 15 press release. The new system maximizes uptime and helps maintain firm cost control, Daimler announced. Powertrain updates can be completed in under 20 minutes, and parameter updates can be done in less that 10 minutes. Examples of the kinds of updates this new addon will do include switching between operating modes to maximize truck performance depending on the type of hauls that are being made. These updates can balance fuel usage and performance, maximize fuel efficiency and reconfigure for maximum road speeds. Programming can be changed to alter the transmission or engine parameters to accommodate for a different class of haul, like switching between dry van to liquid tankers, or for running different kinds of routes, ie, flat land running or mountainous routes, or for running across international borders to accommodate for different speed limits. In addition to changing maximum cruising speeds, a popular request by drivers has been to be able to adjust the idle shutoff time. This OTA update can quickly handle that, altering those parameters in real time to allow longer idling for more comfort in extremely hot or cold weather. This system can operate anywhere a cellular connection is available. The built-in telematics platform already reduces diagnostic times by 70 percent, and repair time by 25 percent. Right now, there are nearly 122,000 Volvo trucks with the electronic platform that can accept the Parameter Plus Package addon. Last year about 1,300 trucks received this new upgrade, and Volvo says that today some 16,000 Volvo trucks are benefitting from the OTA update capabilities. “We are excited to provide customers with this new offering and look forward to continued collaboration with professional drivers and fleet managers to deliver innovative technologies that maximize uptime and enhance productivity,” said Makki. Some other truck manufacturers are getting onboard with the OTA technology. Tesla was an early innovator, offering OTA updates to its electric vehicles and SUVs in 2012. So far, in addition to Volvo, truck makers implementing this technology include Mack Truck, Daimler and Navistar International Corp. The OTA system started being used in Mack Trucks in 2017, allowing Mack owners to avoid some 1,900 days of downtime. Interestingly, the Navistar system to be included in its A26 engines by this June will be able to download updates not only by cellular but also by WiFi, and will have the capability to update truck parameters on the go. The first time the driver stops at a safe location, the update status will be displayed on the truck's instrument panel. Manufacturers are taking longer to adopt this new technology for trucks than for personal vehicles because so many components of a truck still require manual adjustments. But as truck innovators like Volvo begin implementing more digital components linked to the truck's engine and body control modules, the OTA updates begin to be more possible. “With this technology, there is no need to delay important calibrations that improve engine performance, fuel economy or reliability,” Joe Edmonds, Navistar project manager for connected services, told Trucks.com. One concern while innovating this new over-the-air updating technology has been the risk of hackers introducing malware or viruses. That's why at least two other truck manufacturers, Kenworth Truck Company and Peterbilt Manufacturing Company, are taking a wait-and-see approach to implementing the new technology. Toward that end, cybersecurity protection programs are available that will scan the source code throughout the OTA system, and the truck's control modules can be shielded and separated from the vehicle's public WiFi network. Daimler, maker of Freightliner and Mercedes-Benz trucks, shares cybersecurity information globally between its North American, European and Asian subsidiaries, and hires hackers to try to penetrate the system when an OTA update is taking place.